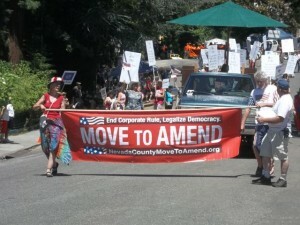 Great Showing at the Nevada City 4th of July Parade! 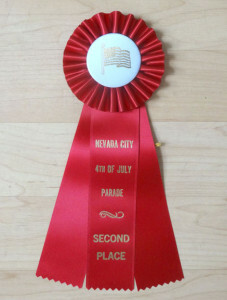 We got the 2nd Place Ribbon! The crowd loved our message! We reached out to the general public and they loved it. The crowd was even more supportive than at the last parade. The momentum building! Around 60 people joined in to make it happen! Please email me your photos and videos ([email protected]) and I’ll post them as they become available. This was by far the biggest number of folks we’ve had in a parade. It showed the crowd that the movement is strong and growing!